ALL SPECIES MAPS ON THIS PAGE ARE THE PROPERTY OF SOUTH DAKOTA BIRDS AND BIRDING, and may not be used, copied, or distributed on any other website, blog, or other distribution media without written approval by the site owner. EMAIL IF YOU WISH TO USE THIS RANGE MAP IN ANY WAY. Map created with ArcGIS. 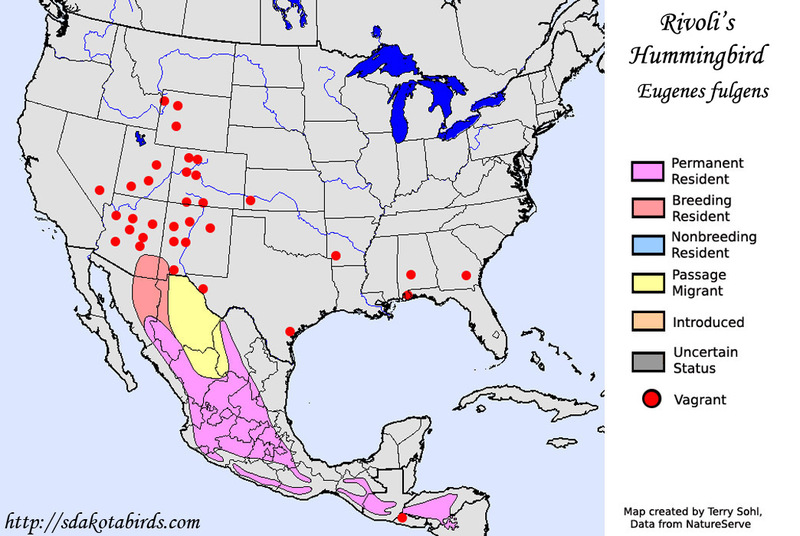 Range map information for each species obtained from Ridgely, R.S., T.F. Allnutt, T. Brooks, D.K. McNicol, D.W. Mehlman, B.E. Young, and J.R. Zook. 2003. Digital Distribution Maps of the Birds of the Western Hemisphere, version 1.0. NatureServe, Arlington, Virginia, USA.